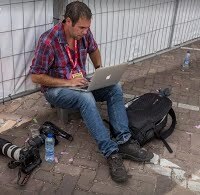 paydesk has 2 journalists in Rotterdam. Our journalists can do broadcast reports, as well as printed media and photography. Our top journalists in Rotterdam are Niels Wenstedt and Iris van den Broek.